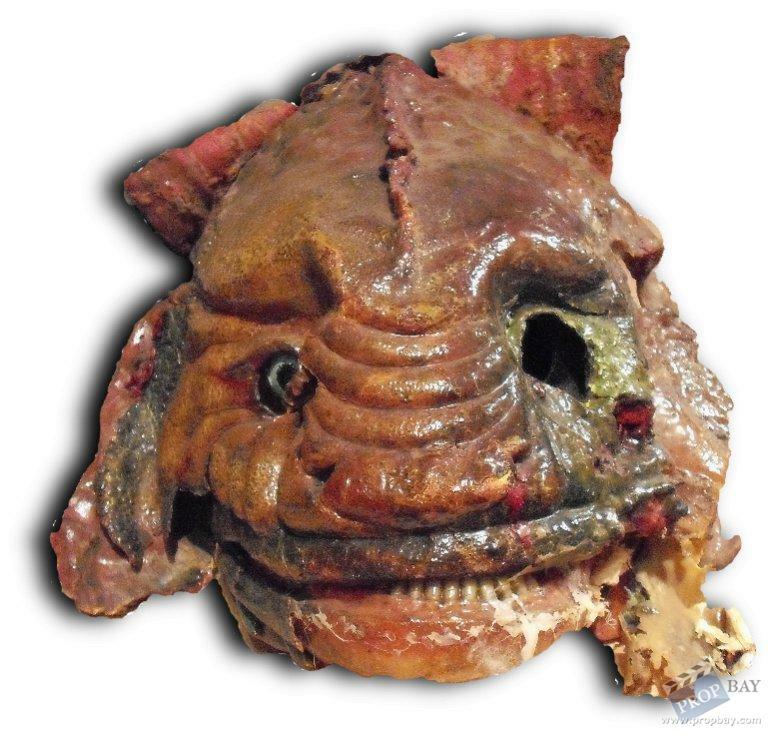 Screen-used cable controlled mask/head worn by actor Michael Melia in the classic 1982 Doctor Who story 'The Visitation'. 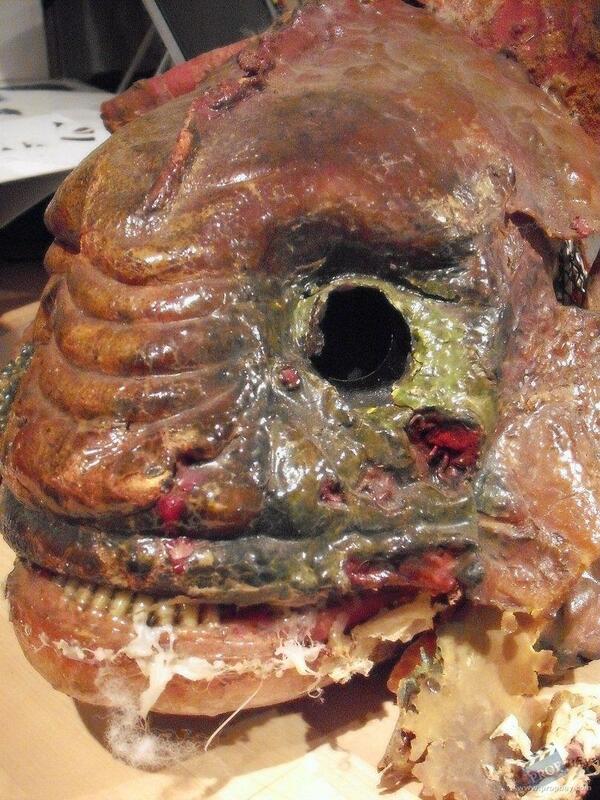 This was a first for the series: a mask that featured cable controlled mouth, lips and gills. 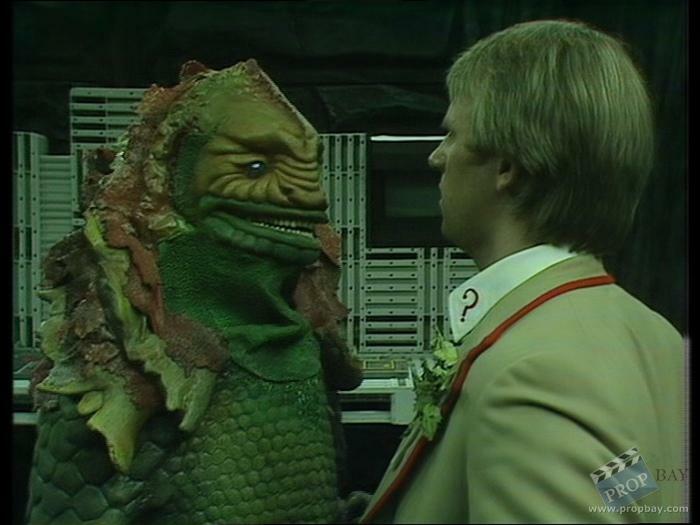 The mask was heavily exhibited all over the world before ending its touring life in the 'Blackpool Doctor Who Museum' in the late naughties. I bought the mask (and a terrileptil body) direct from the BBC auction in 2010. 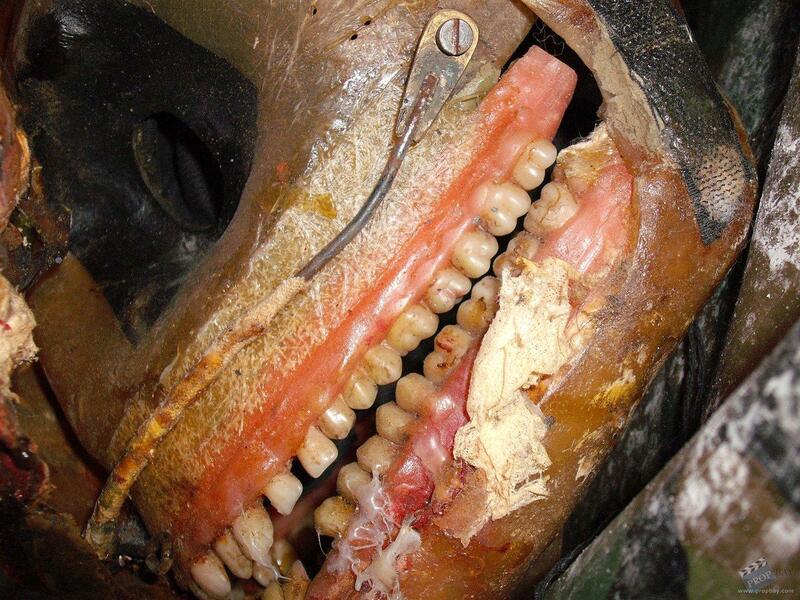 Although its extremely perished, much of the latex skin survives and all of the fibre-glass under-skull. 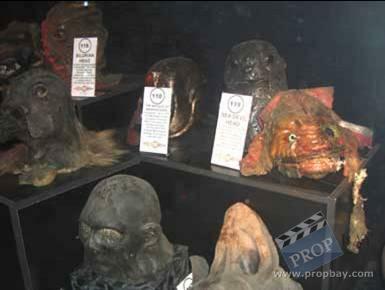 It's a fabulous and very famous monster head from the show. I have coated the surviving rubber with resin to halt further damage. Added: 04-07-2014 - Viewed: 1673 times.